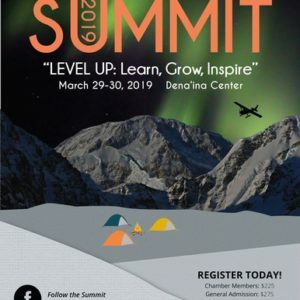 Alaska Event Services, Inc. has been selected as the show service contractor for the 2019 Mat-Su Spring Home Show, April 26 – 28, 2019, at the Menard Sports Complex in Wasilla, Alaska. Show management has provided you with a display booth space (8′ x 10′ for perimeter booths, 10′ x 10′ for middle booths). Included in your booth space is 500 watts of electrical service. If you require additional services such as freight handling, additional electrical service, tables, chairs, etc., please place your order via this electronic ordering system. Please take this time to read through the information, make your selections, and submit your order to the office of Alaska Event Services for processing. (These electronic forms are required only if you need services that are not automatically included with your space.) If you require a PDF copy of the forms instead, or if you have any questions, please call our Exhibit Service Representatives at (907) 345-8789, or email at mailto:info@alaskaeventservices.com. For additional exhibitor information please visit http://matsuhomebuilders.com/. Note: Most equipment and appliances list electrical requirements and information on the back of the unit. For your protection: We urge you to use surge protectors on all computerized equipment and machinery. 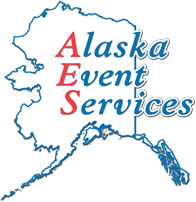 Alaska Event Services will not be responsible for any voltage fluctuations or temporary loss of power. All electrical services are located at the back of your booth. No refunds are given for electrical services once they have been installed. Electrical services include the labor for installation. Outlets will be energized during show hours, and will be disconnected at the close of the show. All tables are 24" wide and 29" high. Counters are 40" high. Tables with skirting are skirted on three sides and include a white vinyl top. If color is not selected, show color will be used. Choose your color preference for the additional table(s) ordered. Please note if you do not choose an option, show color will be used. Quantity is determined by number of 9' x 10' booth spaces. 11' high x 10' wide section of banner framework: includes the labor to install and remove client's banner. Overall length determines quantity (i.e. 30' banner is a quantity of 3). Straight Time Labor Includes: Up to 8 hours a day for work performed during normal business hours (Monday - Friday, 9:00am - 5:00pm, excluding holidays). Overtime Labor Includes: All time exceeding 8 hours per day during normal business hours (Monday - Friday, 9:00am - 5:00pm). Any work performed before/after normal business hours, on weekends, and/or holidays, will automatically be billed for overtime. All exhibit labor must be supervised by a representative from your company. Do you need installation labor? Enter number of decorators requested for installation labor only. Enter number of hours for straight time decorators. Enter number of hours for overtime decorators. Do you need dismantle labor? Enter number of decorators requested for dismantle labor only. Exhibit labor will be serviced at the completion of contracted work. All shipments must be prepaid. AES will not accept any collect/ COD shipments. Do you have material to ship to our facility? Enter total estimated weight of all items combined. Handling / Inbound Freight Service total based on information provided. All shipments must be received at the AES warehouse before move-in date. Shipments arriving on move-in date or later must be shipped directly to the event facility. No Saturday shipments will be accepted. All freight must leave the facility at the close of the show, unless other preapproved arrangements have been made. The following information will be helpful if you have material to ship from the show site – either back to the point of origin or to another exhibition. Do you have material to ship back to yourself or your company following the close of the show? Please choose the location where you plan to have your outbound materials picked up. Rates are based on straight time for handling and deliveries. Any freight that is "oversized or awkward to handle" will be assessed a 30% additional handling charge. Crating and uncrating of any freight will be charged at AES labor rate. Handling / Outbound Freight Service total based on information provided. Please find an AES representative at the Exhibitor Service Desk to approve and inspect your freight packaging and labels. Once your labels and piece count(s) are verified by an AES representative, we will take possession of your materials and you are free to go. Please notify an AES representative at the Exhibitor Service Desk. Please see an AES representative at the Exhibitor Service Desk. We have shipping labels and can offer outbound material handling services back to our warehouse. We will transport your packaged materials back to our warehouse where they can be picked up by the carrier of your choice (you will need to schedule that pickup). Please see an AES representative at the Exhibitor Service Desk at the close of the show. Outbound Forwarding/Liability: Exhibit representatives will be responsible for completing bills of lading and labeling of their own freight. Exhibitors who elect not to use the preferred show freight company are responsible for making all arrangements for outbound freight. All freight must leave the facility the day the event closes unless other arrangements are made and approved. AES reserves the right to force freight via the carrier of its choice. **DISCOUNT PRICING EXPIRES TEN (10) DAYS BEFORE SHOW MOVE-IN DATE (04/15/19). ALL ORDERS TAKEN TEN (10) DAYS OR LESS BEFORE MOVE-IN WILL BE CHARGED AT THE STANDARD RATE. All cancellations and removal of rented material after move-in begins are subject to a 1/3 restocking fee. There are no refunds for electrical outlets. All orders are subject to availability. Payment in full is required before processing.